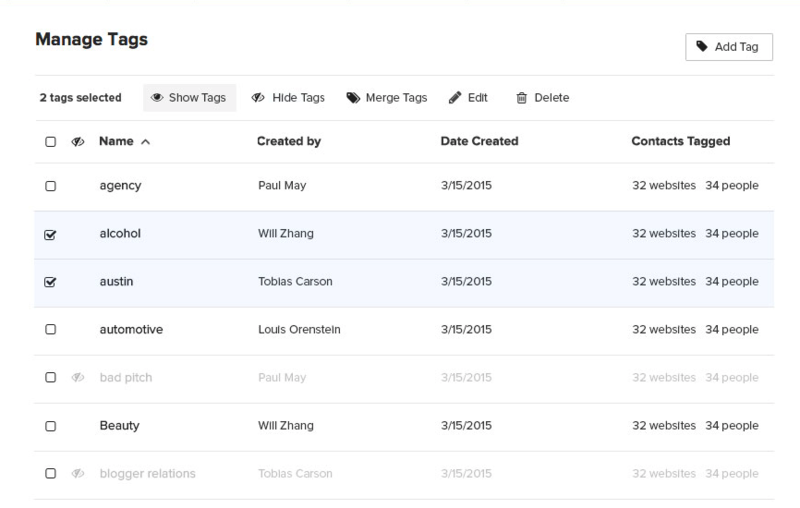 We’ve made a couple of updates to tags in BuzzStream that will make it easier for you to organize your contacts efficiently when running your outreach campaigns. Tags in your contact records now appear the same way they do in the BuzzMarker, making it easier to add the right tags at a glance. Now you can select multiple tags when you want to take action on them, saving you time when you're maintaining your tag database. 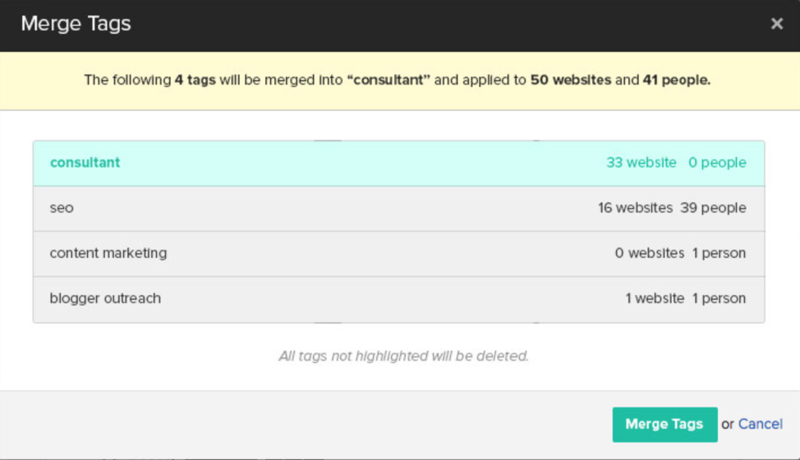 When you're merging tags, the tag that is associated with the most websites and people will be highlighted, and it will automatically be selected as the tag that the other tags will be merged into. 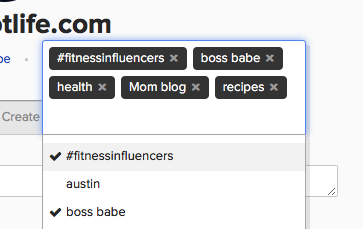 Additionally, you won't have to wonder which of your tags is the most popular among your team, because the number of websites and people associated with each tag will appear next to it.